Firstly, let me point out that the above photo has nothing to do with anything. This will be a recurring theme over the next two weeks, as my trusty D70 has packed up with a "known issue" and has had to be sent back to Nikon. Actually, I am quite impressed that it wasn't actually my fault, since I have dropped it more times than I can remember and lumped it about in very unsuitable carrying cases for the best part of two years and nine countries, but no, they screwed up and I get a free service; they'll probably find a handful of sand and the odd critter living in there. There are few things as satisfying as a good tomato sauce for pasta. Now, if I were to go through the myriad cookbooks and travelogue that line the kitchen wall I could probably come up with a dozen recipes for this simple sauce. Some insisting on roasted tomatoes, others on tinned Italian plums, yet more on the addition of sugar, others slow cooked over heat for a few hours. My mother insists upon slow cooked seived tomatoes so the consistency is smooth and silky, I prefer a few meaty chunks of tomato clinging to the pasta with torn basil thrown all over it. In Italy, the notion that there are a myriad recipes for one dish is a well accepted fact. The fact that yours is correct and everyone else's a sham, worthy of nothing but derision, is also perfectly the norm. Walk 2 miles down the road from where you might have eaten a "pasta e fagiole", say, and walk into a kitchen with the cook of your own dish to inspect that of an equally large aproned cook and you can guarantee the wrinkling of a nose and much tutting. Not that this wouldn't result in a fight of gargantuan proportions with much harking back to the time that the gangsters in this village stole the pig of someone in the first village in 1890. I've never really experienced the vitriol than Italian's can muster for their neighbours anywhere else in the world. Yes, you can find it elsewhere, particularly where two football teams share one space, Blues and Reds in Merseyside, Real and Atletico in Madrid, United and City in Manchester, but the Italians have taken it to magnificent new levels. Practically, anyone not from a very specific area, probably involving a handful of streets has no idea how to cook and anything they do stinks and would make you sicker than a dog. It is a trait that I enjoy very much, that fierce pride in the ability to make a handful of pasta and some beans into something magical and then fight tooth and nail regarding anyone else's ability to even consider cooking it. Monkey Gland's everyday tomato sauce. 3 big cans of Italian plum tomatoes. Bully for you if you grow them. I live in London. Good tomatoes are something that simply doesn't happen that often. Like my train running on time. The best olive oil you can get your sticky paws on. Two large fresh bay leaves. 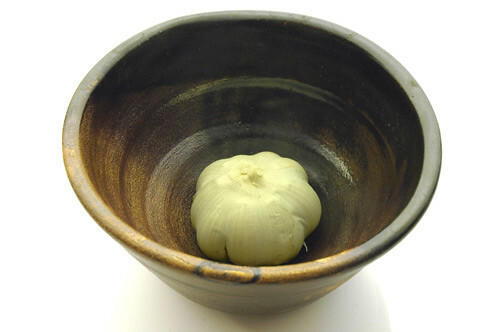 Three cloves of garlic. Chopped wafer thin like in that movie. Chop onions and throw into pan with hot oil. Soften, enjoying the peppery smell of olive oil and mellowing onion. Hang about listening to the radio and open a beer. Fiddle with the radio until you find a tune you like. Garlic now, don't go burning anything, you just softening stuff. I often start nibbling on the Parmesan at this point, you know absent mindedly shaving bits off and eating and maybe grabbing a bit of parma ham if it's knocking about. Empty the cans into the pan and thrown in slightly crumpled bay leaves. Salt and Pepper. Cook for as long as seems appropriate, I dunno maybe half an hour or so. Maybe a bit longer. Look, I don't know, until it feels and looks right. Jesus, what do you want from me? Blood? Anyway, once your done, mix into pasta, Parmesan and torn basil. Maybe chuck some mozzarella in there. Like I say it's up to you. nice and simple, very similar to mine. core and peel 3 pounds of fresh tomatoes. place in roasting pan or large oven-safe saucepan with sliced garlic, basil leaves, sauteed onions, salt, pepper and red chili flakes. cover in olive oil (so the tomatoes are fully immersed) and confit the whole thing in the oven at 350 Farenheight (i'm a yank so Celsius is foreign to me) for an hour. allow to cool, drain off most the oil (which has its other uses) and give it a few pulses with an immersion blender. toss with pasta, sea salt, pepper, and shaved parm or grana padano. yum. I few ore variations to play with, I can never have too many different ways to cook a tomato sauce for pasta! !